“The new products will have two-way Z-Wave RF technology built in. The battery-operated locks communicate with a Z-Wave gateway that connects to any broadband router. The gateway serves up Web pages that allow users to remotely access the locks. From there, anything is possible: lock or unlock the doors; see who came and went…and when; schedule notification of comers and goers; create and disable passcodes. Up to 256 devices can be accessed through a single Z-Wave gateway. In the past, remote-controllable door locks have had some problems in the residential market because door bolts don’t always tend to align correctly – you have to lift or push or otherwise manipulate the door to get the bolt to latch or unlatch. 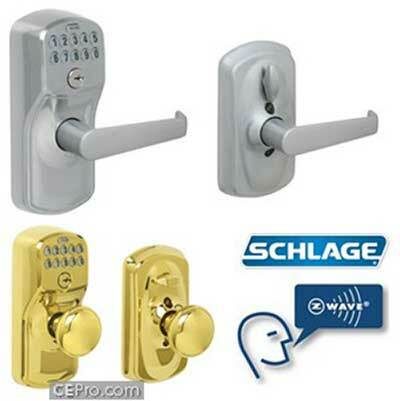 1 Comment on "Z-Wave Web-Enabled Door Locks"
Is EU RF Z-Wave (868 )?